BOOK DESCRIPTION: Nichole, a young black woman, is caught in a tough position. She is juggling too many responsibilities as her world falls apart around her. When her mother turns up missing while performing an errand, Nichole is left picking up the pieces of her shattered life and taking care of her younger siblings. She isn’t sure where she can turn to for help, and she is facing a lot of harsh realities about how life works and how much prejudice can hold her back. Richard is a lawyer who lost himself in corporate law. He wants to help Nichole through her heartbreaking situation, but he makes mistakes and loses her trust. He discovers that he’s been doing the right things for the wrong reasons for a long time. Everything begins to fall apart as he realizes he’s swept problems under the rug for so long he might no longer be able to fix them. After meeting a young alcoholic who is struggling to take control of his life, Richard wakes up to just how far off-course his life has become and attempts to right it. He asks Nichole for a second chance to help her overcome her obstacles, and he hopes it isn’t too late. Can Nichole and Richard overcome their prejudices and get a Second Chance? Second Chances is a contemporary novel set in Middle America that delves into Social Issues people deal with on a regular basis. It features a strong female protagonist standing up to the world and pushing back against commonplace wrongs. It tells a hopeful story about facing up to our own prejudices and coming to terms with who we are today, who we want to become, and what it will take to get there. The well-known film director Vincent Adair arrives in Stilton Fields in the mid-1950’s looking for subject for a movie that will revive his career. He decides to adapt the story of Lydia Bowstreet, a woman who was involved in a 17th century theological controversy and spent her last days in semi-exile in and near Stilton Fields. “The Opinionists” tells two alternating stories, one about the controversy that Lydia was involved in, another about the making of the film. The novel explores various aspects of the quest for freedom in North America. This novel is a family saga with several themes: the advantages and troubles of urban life, ambitions for improvement, the struggle to overcome middle-age malaise. 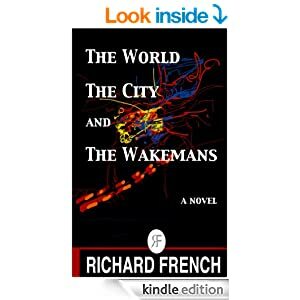 The Wakemans live in a large city in the northeastern U. S. The novel tells about their various attempts to pull themselves out of mental, physical, and spiritual low points. The characters include a professor and his family, a recently retired business man who wants to open a temporary home for underprivileged children, their sister who is a classical musician, and their half brother who wants to be mayor of their city. The story includes three interludes that take place in a society that has gone haywire with technology and the paranormal. One of the characters wonders if reality is disintegrating. For me, writing fiction has included a touch of experimentation. Each of my stories is different from the others. The “Wakemans” is the only extended improvisation I’ve written. I began writing it without notes or outline. One of the few things I knew when I started was that I would aim for 99 chapters, one short of a hundred, as a sign of imperfection. I began one chapter without knowing what would be in the next one. I revised the manuscript many times and tightened the narrative. I also added three interludes set in a future that is awash in technology gone awry. Another thing I knew at the start was that I would write mostly about the adult members of a well-established family I eventually decided to call the Wakemans. They don’t resemble any family I know — all the characters are fictitious. This family is surely my response to various novels I read, in particular Thomas Mann’s “Buddenbrooks”. (Shameless namedropping. I admit.) Anyone who points out a vast gap between Mann’s work and mine will be right. Still, my characters have better prospects than the later generation of Buddenbrooks. This no doubt has to do with the opportunities that many North Americans still see. Filed Under: Fiction Tagged With: city life, Family Saga, improvisation, literary fiction, main stream fiction, mid-life problems. It is March, 1649. A court in Botolph sentences a woman to hang for supposedly trafficking with the devil. The old governor of Sagadac does everything he can to stop an outbreak of hysteria as a wave of accusations of witchcraft sweeps over the colony. The story is based on an isolated case of alleged witchcraft that took place in Massachusetts in the middle of the 17th century. “Pilhannaw” is an old native word for a bird of prey like an eagle. I have hoped since I was in the 8th grade that fiction writing would be at the center of my life. I served as a Lao linguist in the American army, stationed for a year and a half in Thailand, during the start of the war in Vietnam. When I left the army, I took a job at a bank across the street from a large, liberal university. Fiction writing was still at the center of my ambitions. Anti-war protests were just starting. Confused beyond words, I decided that the only way I could understand what was going on around me was to examine American history from the time when Europeans arrived in what we now call the northeastern United States. After five years of research and writing, I came up with what I considered a presentable novel. 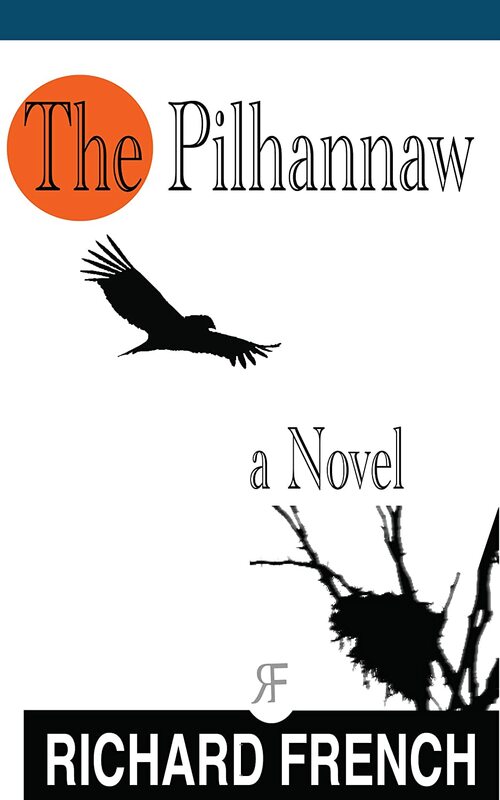 “The Pilhannaw” is my first long work of fiction. Chad Gayle was born and raised in Texas. A writer and a photographer, Chad has written for literary journals, trade publications, and newspapers, and his fine art photography has been purchased by commercial designers and decorators across the country. Chad has a Masters in English from Texas A&M University, and he taught English at Meredith College in North Carolina and several other small schools before he moved to New York, where he lives with his wife and his two children. Andrew Seaward is an award-winning author, actor, and screenwriter. He has written and acted in several independent productions including the critically-acclaimed short film, “Drowning”, which earned the prestigious Award of Merit at the 2010 Indie Fest. Andrew currently resides in Denver, CO, where he is busy at work on his next novel. For more information about Andrew and his projects please visit www.andrewseaward.com. An ambitious collection of interwoven short stories about negotiating life’s meaning in a corrupt, violent world. From an old man collecting drinking straws three at a time, to a pair of Chicago drug addicts faring poorly in their attempt to raise a child, nearly everyone involved in this collection of connected stories cannot shake the feeling that something bigger than themselves is going on. Every story is crafted with compassion for the human spirit. Moving from diners to gas stations, from urban apartments to the war in Iraq, these stories tackle the question of faith in desperate times. Lost, struggling characters look for meaning. And yet, the topic of faith is handled with literary class, without insulting the reader with preachy tones. Just honest, compelling stories reside inside. Fate and free will are called into play. There are visionaries who can predict tragedy before it strikes. And there are visionary hunters who stand on the edge of manipulating their power. There’s a man who inexplicably digs a hole in his back yard to escape nightmares, and a woman who tattoos words on her body, and a man who thinks his shoes are talking to him. 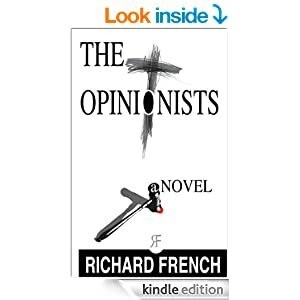 While many of the characters and their actions seem chaotic, as their stories begin to intersect, they lead to greater questions about life and who is in control of it. How do we reconcile the chaos of the world with a faith in God? These stories explore the answers and the questions that drive them. 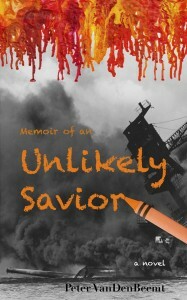 Michel Sauret is the winner of the International Book Awards for his short story collection and earned the title of Army Journalist of the Year for his writing in Iraq in 2008. Michel was born in Rome, Italy, and is a graduate of the University of Pittsburgh’s English Writing department. He published his first novel, “Breathing God,” at the age of 19, and has been serving as a public affairs specialist and journalist for the U.S. Army since 2004.